How does this sound and look so far? THIS PROJECT IS BEING REMADE DUE TO POOR LEVEL DESIGN AND POOR ORGANISATION. THE CONTENT BELOW IS HEAVILY OUTDATED, AND IS NOT THE CURRENT PROGRESS ON THE PROJECT REBIRTH. READ AT YOUR OWN RISK. However, don't let that discourage you. As aforementioned, I am redoing this project, with realistic expectations and inspirations. Ages after Wart's first plans were spoiled, another plan is set into place... This time, we find ourselves in a new land known as The Dreamscape. The only way Mario and friends can enter is by going into their dreams. 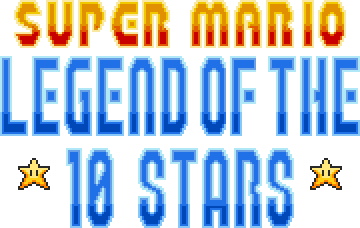 Can Mario and Co. stop Wart's plan of stealing the legendary 10 stars heard about in ancient history, or will they find them selves in hot water? This is still W.I.P. I know, I know, I've made literally 3 World-Maps so far and I'm not fond of any of them. My 4th one however I am fond of, but I'm still working on that. I'm fussy, aren't I? 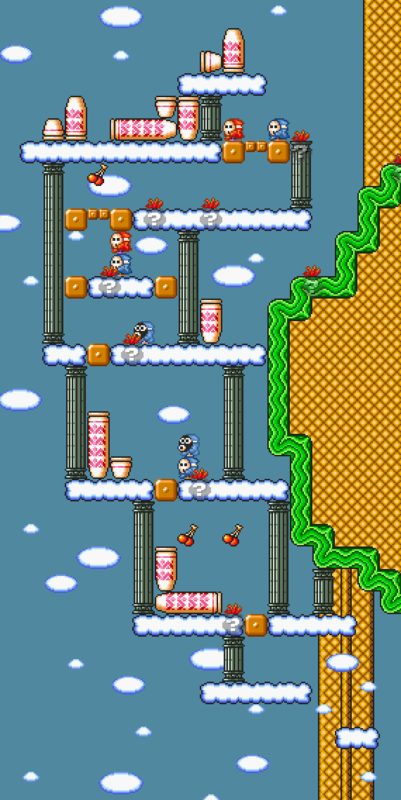 The episode will feature SMB2 length levels (So basically not too big.) with nice little gimmicks in levels. It features 9 worlds with a star in each fortress. On the world map, if you look hard enough for certain secret exits, you might come across temples that lead to a special lava world. These temples will be named by the main element of the world you're in. For example: the first world's temple is called 'Temple of Grass'. 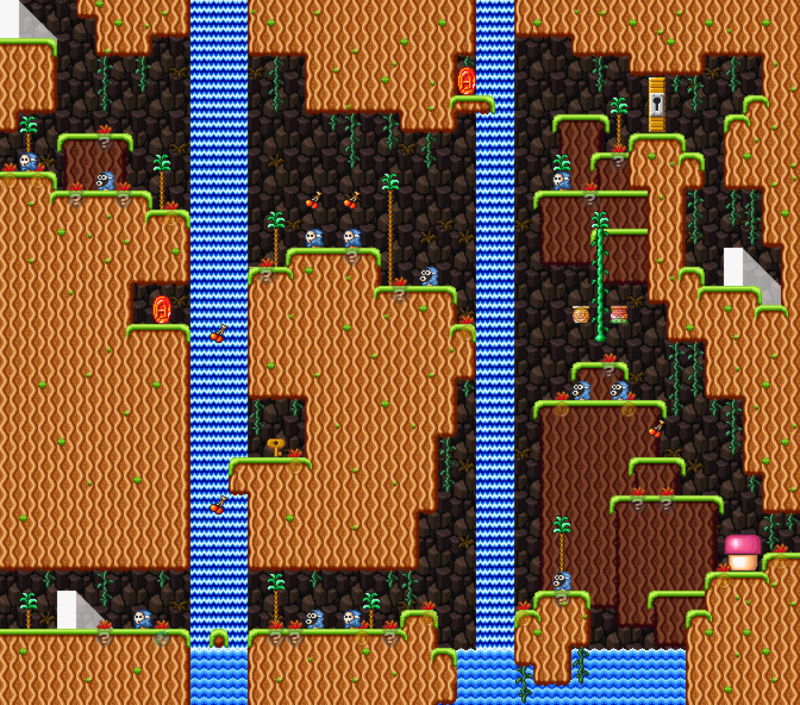 The special lava world can only be accessed if all 8 mini stars have been found, which are in the temples. The temple levels will be challenging. Apart from the mini stars, there are 10 large stars. 1 each in all the worlds up to World 8, where you find 2 in World 8 and 1 in World S.
Overall the episode will fluctuate through difficulties, but will not contain any kaizo levels of course. The game will have a total of 63 levels, 48 without temples and S world completed. Originally, in the world map the level icons were doors: if it was a big door, it would be a long level, if it was a little door, it would be short. But I changed all the doors to big because in my opinion it looks more visually appealing. If a door is blue that means it has a secret exit, if it's red that means it has no secret exit. Large pots on the world map are warps that take you around the map, little pots are Toad Houses and vertical pots are just more visible warps. •Mushroom: Ordinary mushroom, remains static for easy pickup. •Vegtable Mushroom: This can only be pulled out from grass patches. These often act as a hidden extra power up. •Fire Flower: Nothing too special, you know the drill. Can only be found in its respective environment. •Ice Flower: Just like Fire Flower, pretty common, can only be found in its respective environment. •Leaf Staff: Grants its user the ability of fight with a tail. •Tanooki Pot: Very rare power up with magical abilities. Found in super secret rooms as a reward for exploration and curiosity. •Hammer Pot: Once again, very rare, can only be found in super secret rooms and maybe in Pot Houses. •1-Up: A static mushroom that rewards players with an extra life. These will be well hidden. •3-Up: The rarest item of them all! Hidden in very very secret spots these bad boys give 3 extra lifes. My best friend Flynn, for being such a good help. Snessy for the fabulous art. 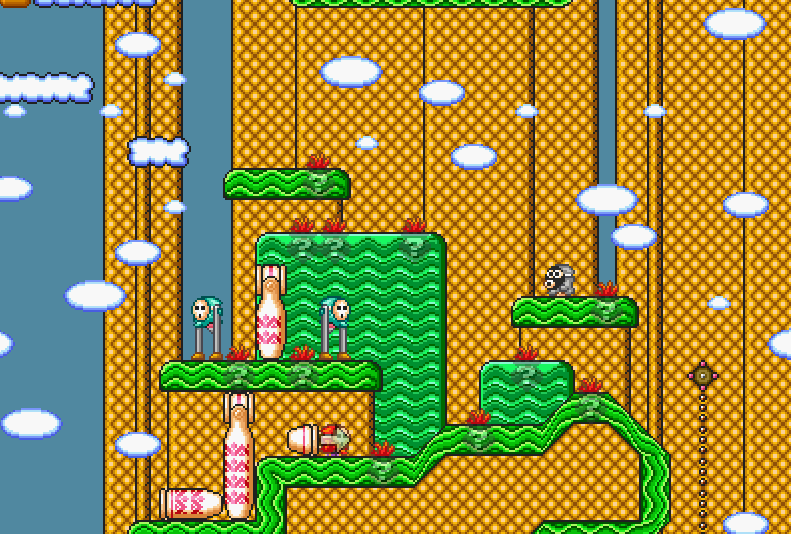 Sedaniur for the fantastic SMB2 graphics pack. Place this in your signature and spread the project! Last edited by TheLoafLord on Mon Jan 28, 2019 5:01 am, edited 72 times in total. Also, my name isn't spelt Snezzy. OK, WTF is this? I have seen projects that lack necessary screenshots, Some that lack proof of progress, but no progress at all? This is on a whole new level! Like WTF? Electriking wrote: OK, WTF is this? I have seen projects that lack necessary screenshots, Some that lack proof of progress, but no progress at all? This is on a whole new level! Like WTF? Yeah, no levels, no worldmap, no nothing, only the plot and world list. You should've taken the screens before making this topic. Since your project is 10 worlds long, you'll need at least 10 screens according to the rules. is not having coins at all a bad thing? Coins act like decoration.. so adding dome coins would be good. Even for a smb2 project. People will eventually give you feedback what you can change about their placement, but you get better with it everytime you use them. 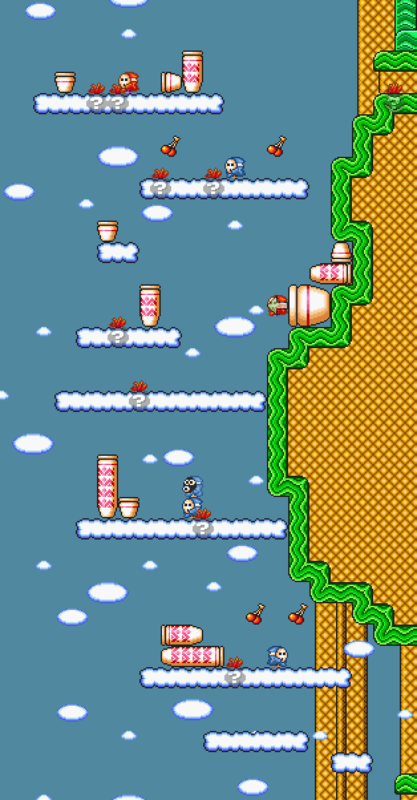 This level is 1-9, a.k.a The Great Tree. 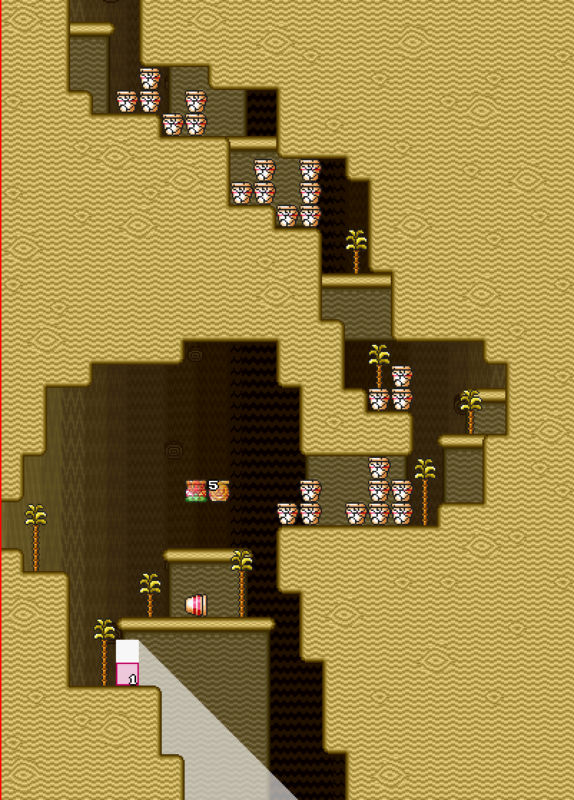 It focuses on slightly modified spinys that turn on cliffs, and inside the tree is a huge amount of Brinstar blocks (The Cracked Vases in the picture.) and a billy gun to smash and bash your way through. I really like this level, because inside the tree I want it to be as chaotic as possible, with bullets flying everywhere and enemies swarming left, right and center while blocks are getting broken. The idea of going into a chaotic tree with a billy gun is purely epic. Last edited by Quill on Wed Jun 07, 2017 7:27 am, edited 1 time in total. Last edited by Quill on Wed Jun 07, 2017 7:26 am, edited 1 time in total.